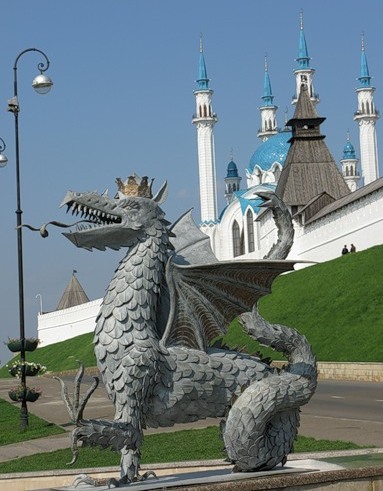 Competition will be held from July 25 (the day of arrival) to July 31, 2013 in Kazan (Russia), in “TSSDYUSHSHOR of R.G.Nezhmetdinov” (Butlerova street, 7) – in front of the Kazan State Financial and Economic Institute. 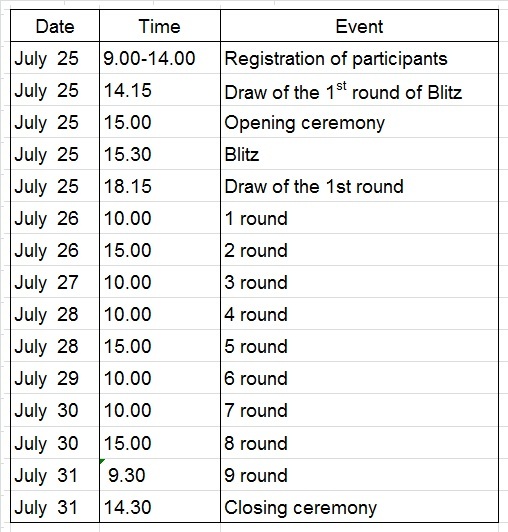 All participants must register and pay tournament fee July 25 from 9:00 to 14:00 in the “TSSDYUSHSHOR R.G.Nezhmetdinov” After that date players who not registered to participate in the tournament are not allowed. 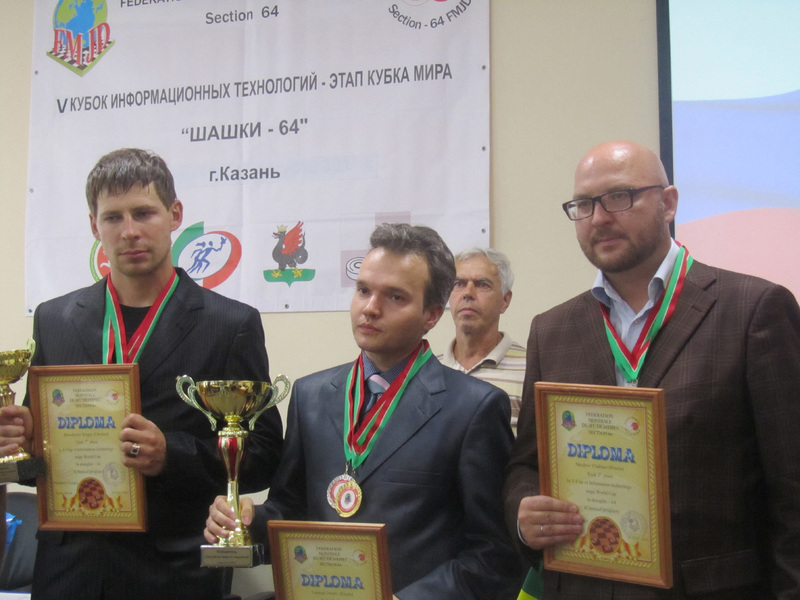 Draughts Federation of the Republic of Tatarstan paid costs for food and accommodation for foreign players (5 players – 1 player on the country with a rank not less than a master FMJD).